pumpkin shortage? not for this gal! ok, so granted – the pumpkin shortage is technically over, according to the news this week. but i still couldn’t find any pumpkin pie filling or pumpkin puree in the store. how am i supposed to make pumpkin whoopie pies if i don’t have pumpkin puree?! make my own, that’s how! 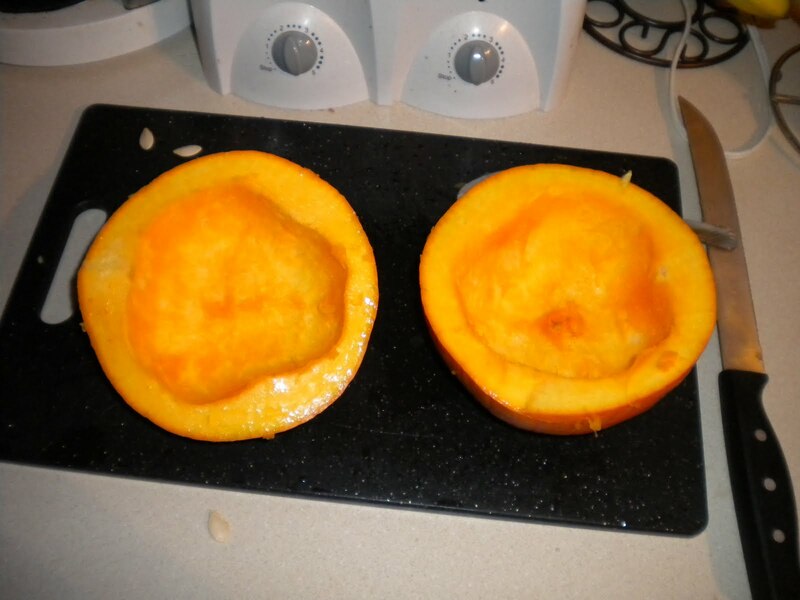 i bought a couple of pie pumpkins at the store tonight and thanks to the googles, learned how to make pumpkin puree. the finished product looks great! we’ll see how it tastes in a recipe, but it sure looks good! a special thanks to grandma for getting me a food processor for christmas last year – it stayed in the box for half of the year since my kitchen in cleveland was too tiny for any real cooking, but we’ve used it several times since moving into our house in lansing. love it! steps 3 and then some (i didn’t photograph every step along the way) – remove from oven and place on a cutting board to cool until you can handle. 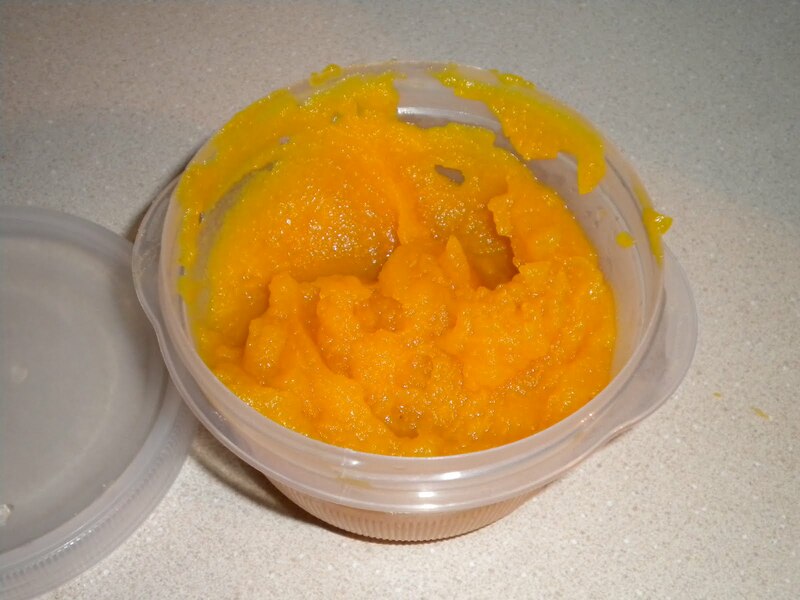 then, scoop out the insides of the pumpkin and puree in a food processor or mash by hand. voila! some websites also suggested draining them to get it more to the texture you get out of a good old can of libby’s, but i skipped that step. one pie pumpkin even made the exact amount i need for my recipe; it will be a great feeling to say that i truly made them from scratch! 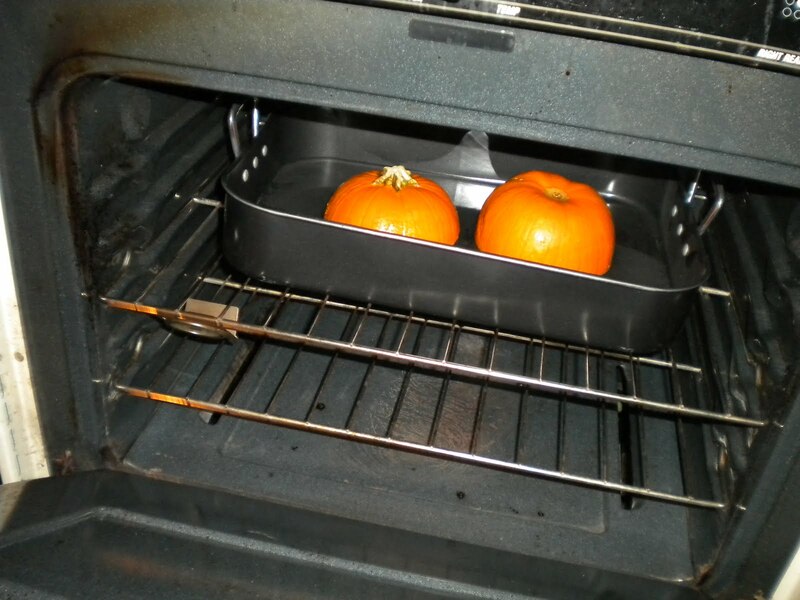 This entry was posted in Baking and tagged baking, pumpkin, pumpkin puree. Bookmark the permalink. 1 Response to pumpkin shortage? not for this gal!